Passengers booking this service will have access to Club Class Perks. 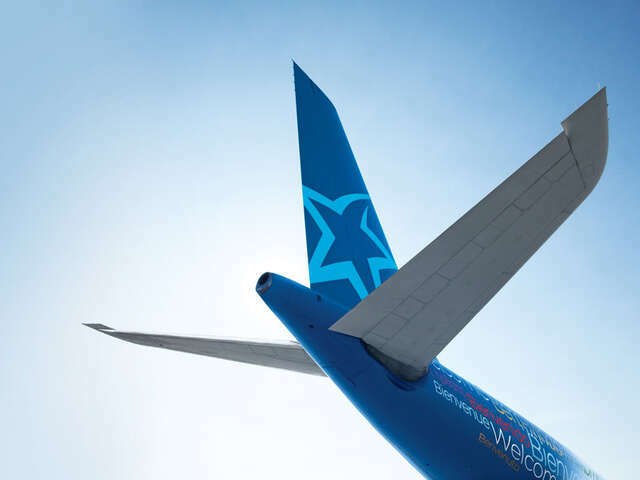 Air Transat has launched a new Club Class service on its domestic flights, allowing passengers flying to or from Europe with a connection to benefit from exclusive advantages and priority services of Club Class throughout their journey. Club Class seats on domestic flights will be located in the first three rows of the economy cabin on a Boeing 737 aircraft. In order to provide more space to travellers, the middle seats in each of these rows will remain unoccupied. Passengers booking this service will have access to priority privileges before departure and at the airport, a 40 kg baggage allowance, a choice of gourmet meals (varies according to flight duration) and other inflight extras, as well as complimentary seat selection. Club Class will be offered on domestic flights for travel as of May 1, 2016. Air Transat recently announced that it was improving its domestic connecting flight program by offering five weekly flights between Montreal and Toronto, two between Quebec City and Montreal, two between Vancouver and Toronto and one between Calgary and Toronto, the latter in addition to the Calgary-Vancouver flight introduced in 2015.